Over the past year, I have had the privilege to raise funds for a young non-profit serving the heart disease community. While the charity has a compelling story and much potential, having start-up status presented a unique challenge to grant seeking. 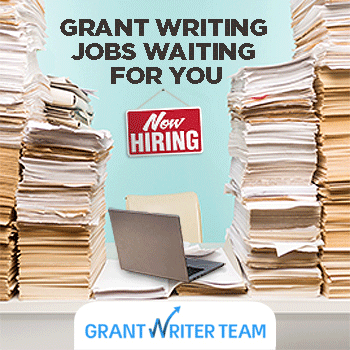 Many grantmakers minimally require a $250,000 budget three years running, an annual report, and full-time staff members to even consider a request. As this organization simply wasn’t that advanced, finding funders required creativity. Using an out-of-the-box approach, the Ironheart Foundation experienced success in applying for leadership related awards that can be found on GrantWatch.com under Awards, like "Invest In Others" and "Medtronics Bakkan Invitation" which honored individuals on Ironheart’s Board of Directors for their significant volunteer contributions. Grants associated with personal awards are generally considered unrestricted for the charity, meaning they can be used as the charity sees fit and are not tied to a specific project or initiative. A non-profit organization might allocate an unrestricted grant to help offset the organization’s operating costs such as rent, labor costs, and utility bills. For Ironheart Foundation, those generous grants will enable a strong fiscal start to 2016 and provide the flexibility to implement much needed technology to help members better communicate that may not have been possible with a restricted project grant. Personal awards are also fun and refreshing to write! Most focus on telling a compelling story and painting a picture of the executive’s leadership and volunteerism contributions through words. Instead of facts, figures, graphs and spreadsheets, these awards may request photographs, videos, and news articles about the nominee. It’s a great way to personally develop a strong working relationship with your charity’s key executives and volunteers. You may be asking, “Where do I start?” First, get to know the Board of Directors and executives within your charity. As many personal awards are profession driven, ask leaders for their resume and biography, which should include all charitable work and personal stories. For example, “Invest in Others” is an award for an active Financial Advisor. The Medtronic’s Bakkan Invitation celebrates individuals, who with the help of medical technology, are making outstanding contributions through volunteerism. Other awards focus on outstanding teachers. Once you understand the background of your nonprofit’s leaders, their story and volunteer history, keyword searches can be used to find corresponding awards. Once a match is made, your charity will be on its way to a successful nomination. About the Author: After forging a vibrant sales leadership career at Verizon, Taralyn has shifted gears and put her strategic skills to work serving the nonprofit sector as the Global Director of Business Development for Ironheart Foundation. She genuinely enjoy helping non-profits find strategic ways to further their mission using creativity.